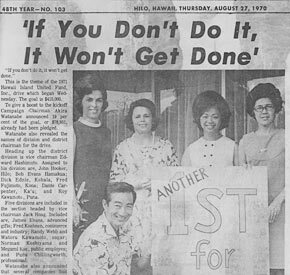 The Hawaii Island United Fund (HUI) charter of incorporation was signed on January 16, 1967 and that fall, the first fundraising campaign was held. Then, as now, “Fair Share,” or giving one hour’s pay per month, was one of the basic themes of our efforts. 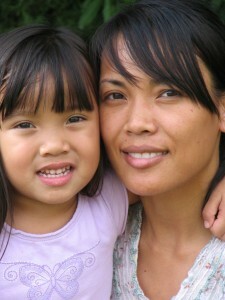 By 1974, the Hawaii Island United Fund, Inc. had evolved into Hawaii Island United Way, Inc. This change has helped clarify both statewide and locally that we are part of the United Way, allowing the organization to garner more benefit from United Way of America’s standing. 1989 marked the first time donations passed the $1 million mark and the implementation of a Donor Choice program, allowing more flexibility for contributors. In the nineties, AFL-CIO community services joined Hawaii Island United Way and labor participation in our community fundraising efforts expanded. Hawaii Island United Way has a proud history of bringing Hawaiʻi Island residents together in a collective effort to affect community change. Our vision for the future is to continue to build upon the legacy of generosity on our island and realize a stronger, healthier, more sustainable community through accountability, responsiveness, collaboration, leadership, integrity, and diversity.